Kaden Stearns, BA | Fenway Health: Health Care Is A Right, Not A Privilege. Kaden Stearns, BA – Fenway Health: Health Care Is A Right, Not A Privilege. Kaden first established a relationship with Fenway Health when he began his transition in the Midwest and was navigating a community with limited trans healthcare resources. Since returning to Boston in 2014, Kaden has been a Fenway patient and an involved YLC member. He has served as a Dinner Party table captain and participated in multiple Fenway Institute initiatives and studies. This year, he is looking forward to his first Harbor to the Bay ride. Kaden Stearns joined Isaacson, Miller, an executive search firm dedicated to diversifying and strengthening civic sector leadership, as an Associate in 2017. 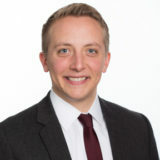 Prior to joining the firm, Kaden worked at Wellesley College as Associate Director for Special Events and Programs, and previously, as Assistant Director of The Wellesley Fund. Before Wellesley, Kaden was Program Coordinator for the NCAA’s Office for Evaluation and Program Excellence. Bringing the personal experience of intensive involvement as a basketball and rugby student athlete, and with a passion for the importance of collegiate athletics, Kaden played an important role in a new NCAA initiative to measure program effectiveness and to use data analytics to inform decision making. Kaden also developed educational programs aimed at improving inclusion in collegiate athletics. Kaden earned a BA at Wellesley College with concentrations in psychology, mathematics, and educational studies.